The lifestyle you've been looking for. Our variety of layouts offer something for everyone. Lofts at the Highlands apartments in St. Louis stand on ground that holds a special place in the hearts of many St. Louisans. Offering a variety of layouts include one two and three bedroom apartment homes, Lofts at the Highlands is the perfect place to live, work and play. Conveniently located directly across from Forest Park, you can enjoy the convenience of dining, shopping and entertainment right outside your door. 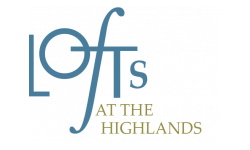 Come see all that Lofts at the Highlands has to offer, call today to schedule a tour for your new home!